If you’re looking for a generous dollop of good old fashioned Italy then look no further than Harry’s Dolce Vita in Knightsbridge, where black-and-white stills from classic films like Roman Holiday and Sofia Loren slurping spaghetti abound. 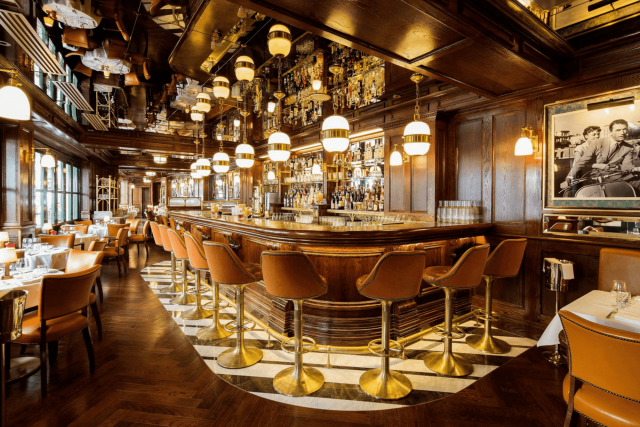 The brainchild of restaurant guru Richard Caring, with its yellow and white frilly awning, tan leather bar stools and low-hanging lights, the convivial space, inspired by the famous Harry’s Bar in Venice, feels like it’s been there forever. You’ll even find Dean Martin crooning down the speakers.